It's been a really hectic couple of months. Mostly because I just graduated and I have been busy finding my right path into the working world. There's just so many options to choose from that we ( I know I do ) can get a little loss and overwhelm by the choices, requirements, application, resume and all that jazz. So, this is when I find career fairs very helpful and there's one happening this weekend! 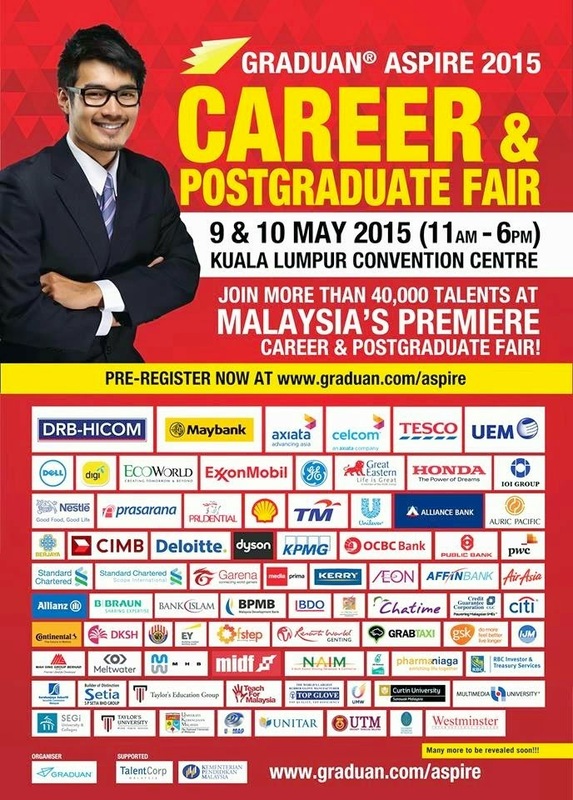 It's the GRADUAN® ASPIRE Career & Postgraduate Fair 2015! Working with leading organisations in Malaysia, GRADUAN® ASPIRE 2015 will offer talents the opportunity for a better insight into their future with this two-day career and networking fair. The fair itself is designed to promote better interaction and communications between talents and participating organisations. Other than that, those who are interested in pursuing their education in postgraduate studies will be able to receive the necessary information they need via the many university booths at the fair! GRADUAN® ASPIRE 2015 strive to be the gateway to a successful future. GRADUAN ® was launched in 1995 (as Aspirasi GRADUAN ®) by Puan Elia Talib with the intention of guiding fresh graduates as they enter the workforce. This pioneering and comprehensive guidebook provides young readers with invaluable information to prepare them for the transition from student life to employment. GRADUAN ®'s mission is to be the one-stop resource for fresh graduates. Over the last 16 years, they have remained the leading career guidance and employment resource. Be part of the most exciting local networking event! This year promises even more talents as well as new and exciting activities that will make GRADUAN® ASPIRE 2015 one of the most talked about affair. 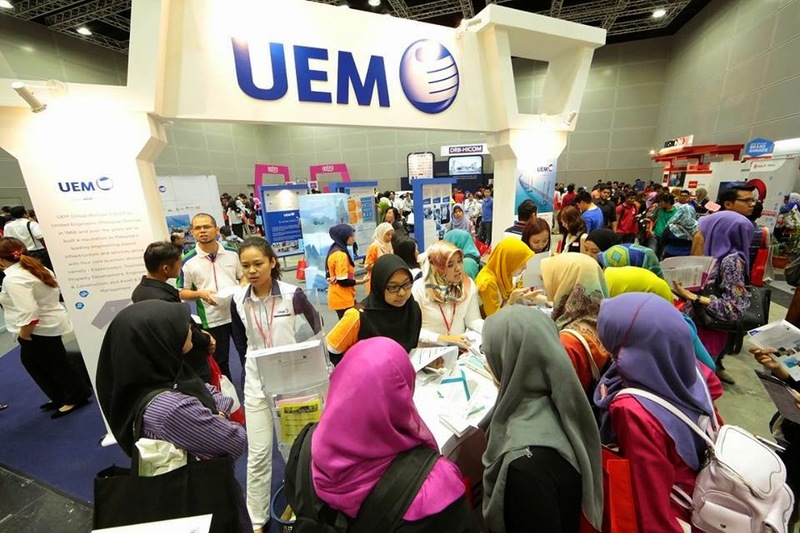 - Over 36,000 talents targeted for a two-day career and networking fair. 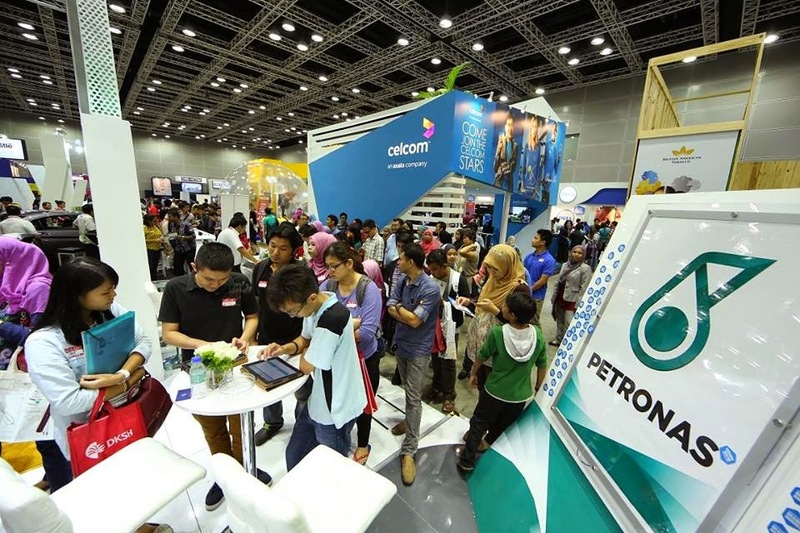 - A bigger venue consisting of two halls in Kuala Lumpur Convention Centre. - THE GRADUAN® APPRENTICE challenge. - Intimate and laidback sessions for better interaction. 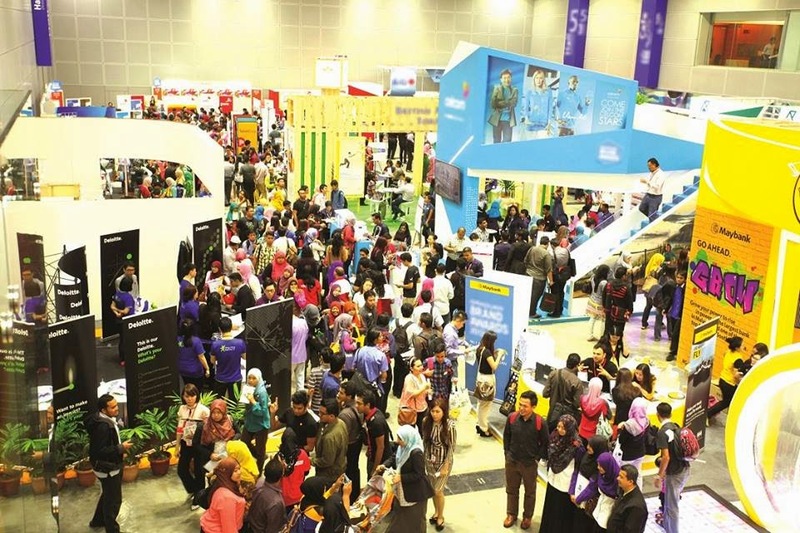 - GRADUAN® ASPIRE BORNEO CAREER FAIR 2015 is back again! This year, GRADUAN® promises an even more impressive list of exhibitors! And, for the first time ever, GRADUAN® ASPIRE 2015 is introducing the much sought-after Corporate Luncheon during the fair. This networking session will allow CEOs and senior management to gain better insight and interact with the top percentile of Malaysian talents whilst dining in a casual setting. At the same time, get an opportunity to gain intimate face-time with those who call the shots! Take this chance to accelerate your career with in-depth industry knowledge from the CEOs themselves. All the best with your future!